We have yet another free form fest of roots music emanating from the bright sun of a Saturday along the Bohemian Highway, live from the KOWS studios in downtown Occidental, California. We both start and wrap up the show with Cliff “Ukulele Ike” Edwards, sharing country, blues, and new Americana in between. We’ll hear from Flaco Jimenez pair up with Dwight Yoakum, the essence of Randy Newman’s portrait of the South, western swing with Willie and Spade, and new music that fits our roots sensibilities from Steve Earle, Robert Earl Keen, Jr., and Jorma Kaukonen. 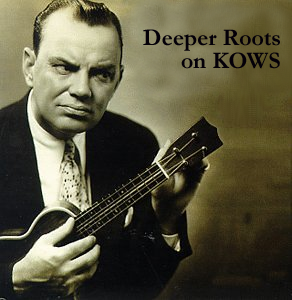 Tune in for two hours of classic roots music. 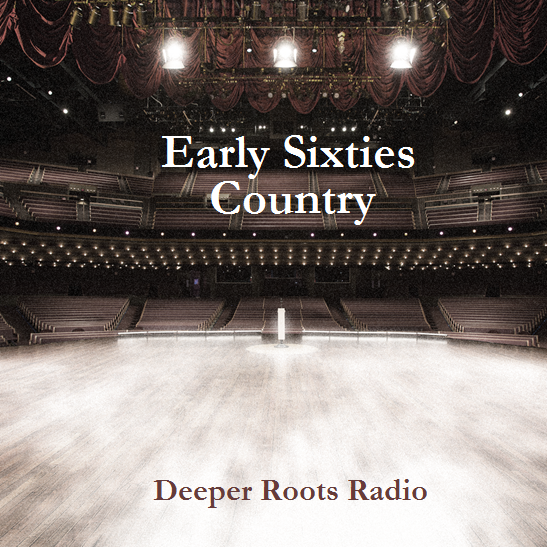 Take a journey once more into the Golden Age of Country on Deeper Roots. 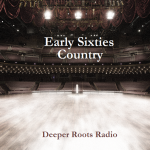 We look at that slice of time when country music took its shape and form as it worked its way into popular and mainstream culture, far from the locales of hillbilly music and southern folkdom. We’ll hear from the storytellers and the ‘country crooners’, including Johnny Horton, Marty Robbins, Buck Owens, Lefty Frizzell, and many, many others as we take the decade of the sixties in a show produced especially for KWTF 88.1 FM Bodega Bay, member-supported community radio for all of Sonoma County. 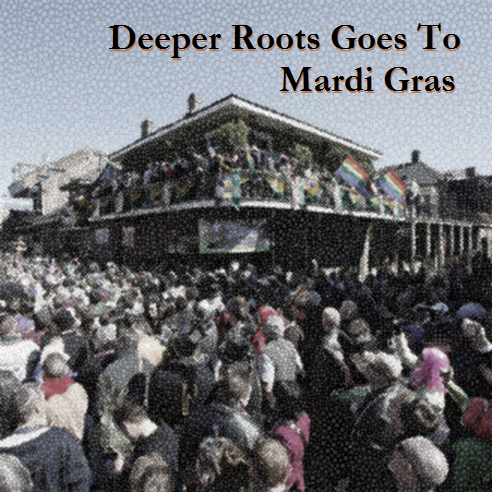 Fat Tuesday or, translated to French, Mardi Gras, comes but once a year and signals the penitential season of Lent. It also provides us with an outlet for the many things that we do as part of our celebration. One of them involves the backdrop of music. We’ll visit the sounds introduced by the Second Line of “Sugar Boy” Crawford, Fats Domino, and Stop, Inc. We’ll follow with The Meters, Bo Dollis and The Wild Magnolias, Louis Armstrong, and many others in a show that separates our locales by almost 2000 miles. 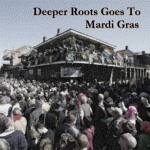 Join Dave Stroud for the big beat coming from the French Quarter, Bourbon Street, and the Mississippi waterfront in our newest episode, another produced exclusively for KWTF, 88.1 FM, member-supported community radio for Bodega Bay, Sonoma County, California. This week’s edition of Deeper Roots visits the towns of Florence and Sheffield, Alabama, specifically the Fame Records and Muscle Shoals studios, to revel in the production talent that was important to the growth of rock, soul, pop, and gospel in the latter half of the 20th century. 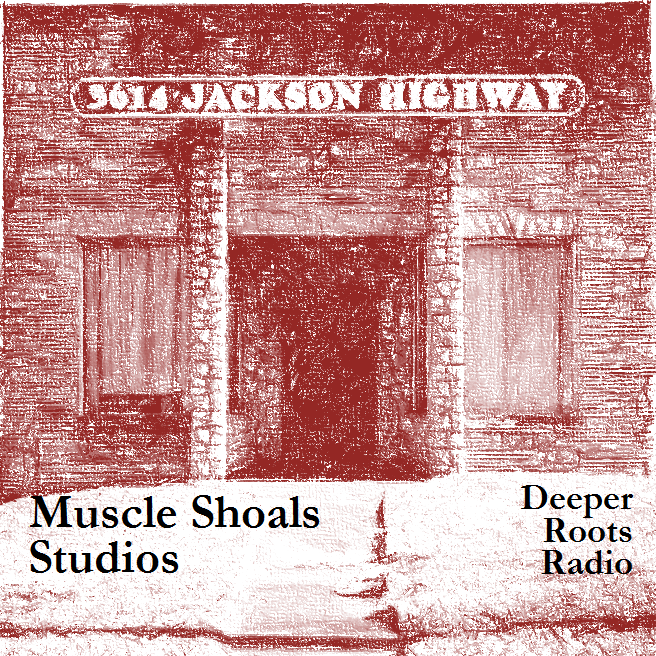 You may not be familiar with the history, and that can be easily remedied by watching the fine documentary of the same name “Muscle Shoals” which premiered at Sundance in January, 2013. Or you can tune in to our two hour episode to get a taste of the music (which you, no doubt, know) that was the soundtrack of a lifetime for at least two generations. When you consider that “Love Me Like A Rock”, “Wild Horses”, “Katmandu”, and “Gotta Serve Somebody” are just the tip of the iceberg, then you’ll want to know more about the four (yes, four) session musicians that crafted the very distinct sound that made the music as compelling as any other in the last century of America’s music.